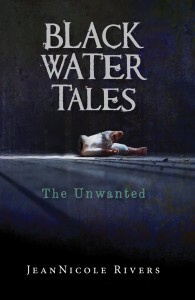 In Black Water Tales: The Unwanted, Blaire Baker is a teacher from the supposedly cursed town of Black Water. She accepts a volunteer post at St. Sebastian’s orphanage, and along with volunteer nurse Travis Wells, she heds to the orphanage. While Blaire is optimistic at first, her optimism soon turns into despair – the facilitiy is housed in an abandoned, derelict building, the staff doesn’t care much about the “unwanted” children left at the orphanage, and the children aren’t exactly being taken care of the way they should. As strange things start happening, and one of the children informs Blaire there’s something in the basement, Blaire grows more and more wary that something is going on at the orphanage. When Blaire is haunted by flashbacks of the accident that killed her parents, she realizes she might have to dig through the depths of her own subconscious, and the history of St. Sebastian’s orphanage, if she wants to find out the truth behind the Unwanted. The setting is deliciously creepy (derelict orphanages are just about number one on my creepy list). The pacing is slow, but in a good way – the suspense builds up slowly, but when it reaches its crescendo, I was on the edge of my seat. The book reminded me of The Woman in Black, both in tone and eerie atmosphere, which is always a good thing. I would recommend this book to anyone who enjoys a good, creepy horror novel.